Last month, Jonathan at MyMoneyBlog ran a series on model portfolios which covered some (so far six) popular portfolios based on various investment philosophies. When these model portfolios were originally developed (some are more than thirty years old), the main investment vehicles were mutual funds, where were apparently the only choices at that time. However, the recent development in the exchange traded funds (ETFs) world presents an opportunity to rethink the ways to build portfolio based on those classic asset allocations. In fact, as ETFs rapidly gaining ground on mutual funds, largely due to their obvious benefits such as low cost and flexible pricing when compared with their mutual fund counterparts, there are already portfolios contain nothing but ETFs. Inspired by Jonathan’s presentations, as well as being a fan of ETFs, I reconstructed all the six model portfolios with existing ETFs (Vanguard currently doesn’t have bond ETFs, but offerings are on the horizon). The first one covered in this Model Portfolios Built with ETFs series is the Couch Potato Portfolio. Clearly, an all-ETF CP portfolio doesn’t lose to the traditional mutual fund mix in performance, but has quite significant edge on costs, especially the equity ETFs (and Vanguard ETFs are consistently the cheapest). Of course, when investing with ETFs, the trading costs have to taken into account. 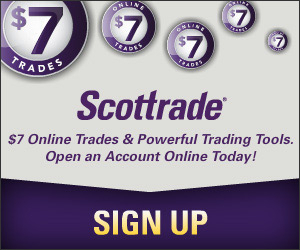 Since ETFs are traded like stocks instead of mutual funds, each transaction will incur a commission, anywhere from $0 (Zecco) to $3 (SogoInvest) to $7 (Scottrade) (here’s my review of some discount brokerages I am using). Thus, an ideal ETF investment strategy is investing with a lump sum. If you are used to contributing $100 a month into an mutual fund, try to make a $1,200 investment at the beginning of the year (monthly dollar-cost averaging isn’t that great anyway), if possible, to minimize trading costs. Besides, ETF’s lower ER will compensate some of the trading costs in long-term. Sub, I am not even close to being very knowledgeable about investing although I have about 14 different funds, but I have always wondered why anyone would put a low earning fund into their portfolio like ‘TIP’ above when you can earn a consistent 5+% in a CD that is safe and insured. What gives with that? I am sure I am missing something but can’t figure what it would be. Opps, sorry Sun, hit the wrong key when spelling your name and didn’t spell check. We are currently at a point of inverse yield curves where online savings accounts/CDs return higher interest than bonds. This is an anomaly. Here are the numbers for the past 6 years using Vanguard’s Prime Money Market versus Vangard’s TIPS fund as proxies for average yields. So the two extra benefits of TIPS is interest that increases with inflation and capital appreciation during deflation (federal reserve decreases interest rates to spur growth).